Unique weapons are essentially the best weapons in the game; known as rare or master items in any other RPG. These weapons offer a variety of bonuses such as the chance to set enemies on fire, additional stagger effects and even unlimited ammo in some cases. 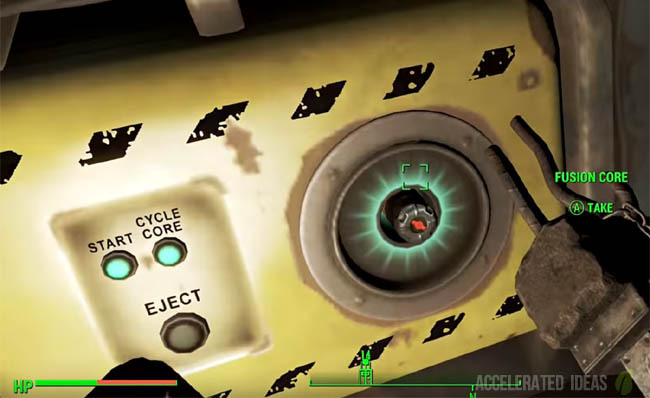 In this post I'm going to list each of the Unique weapons in Fallout 4 including full details on how you find them. 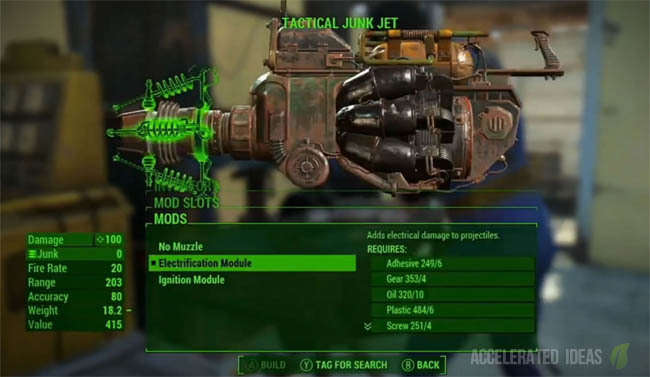 Players should note that some unique weapons are rewards from quests, others are sold by vendors in the wasteland whilst a few exceptions can simply be found in certain locations e.g Les Fusil Teribles and Big Jim. In all cases, I will list the locations and prerequisites required to get each of the unique weapons in the game. Some of my favourites so far include the Automatic Laser Musket - a laser musket weapon that can fire in full auto mode; Lorenzo's artifact - uses telekinesis to push enemies away; and the Wazer Wifle - a laser gun with unlimited ammo. A baseball bat that can send enemies flying. Location: A reward under the Jamaica Plain City Hall. An MS16 that has a chance to set enemies on fire. Location: Reward for siding with Fahrenheit at the end of The Big Dig side quest. See walkthrough. A full auto version of the laser musket. Location: Given as a reward before The Minuteman Quest: The Nuclear Option. 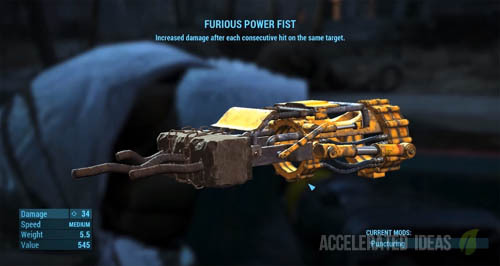 A plasma gun that does 50% more damage against Super mutants. Location: Sold by Teagan in the Pryden. A Fat Man weapon that shoots an additional projectile. Location: Sold by Arturo in the Diamond City. A Pipe wrench that has a 20% chance to cripple the enemy's leg. Location: Lying in Waldens Pond. Location: Reward from the Last Voyage of the U.S.S Constitution quest. A missile launcher that gives you 75% faster movement speed while aiming. Location: Sold by Proctor Teagan once you reach the rank of Paladin. Devastating melee weapon that ignores armour. Location: A reward for completing the Side Quest called Devil's Due. See walkthrough. Location: A reward from The Railroad Quest: Tradecraft. A .44 that deals extra limb damage. Location: A reward from Detective Case Files: Long Time Coming. A plasma gun with 25% faster fire rate and 15% faster reload speed. Location: Sold by Institute Requisitions in The Institute area. A laser gatling cannon with 25% faster fire rate and 15% faster reload speed. Location: Carried by Elder Maxson. 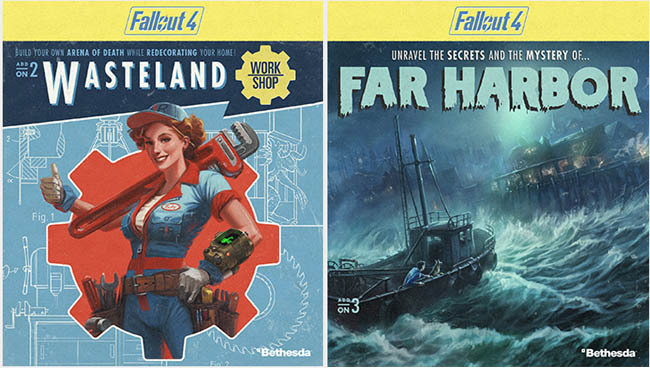 You can steal it from him during any of these quests: Institute Quest: Airship Down, The Railroad Quest: Precipice of War. See walkthrough. A more powerful melee attack that provides increased damage following consecutive hits on the same target. Location: Remove the threat of Swan from the Boston common. This is a simple boss fight that starts when you walk into the pond, just watch out for the one hit rock attacks that'll kill you. A Chinese officer's sword that does 50% more damage to robots. A laser gun that causes enemies to frenzy. Location: Claim it from the Gunner leader Clint at the elevated freeway camp. Enemies will stagger more and suffer bleed damage. Location: Inside Hubris Comics in a display case. A grenade that has a chance to frenzy enemies for 60 seconds. Location: Can be built with materials found in the basement of the HalluciGen Inc labratory. Calls in a missile stike from zoo's sub. Location: A reward for completing Side Quest: Here There be Monsters. This grenade spawns Synths at the beacon's location. Location: Reward from The Institute: Airship Down quest. A gun that fires junk including anything from teddy bears to tin cans. Location: In ArcJet Systems, can be collected during or after the Brotherhood of Steel quest: Call to Arms. A shotgun that has a chance to stagger enemies. Location: Weapon is sold by Penny in the Covenant. A .44 pistol that refills your Action Points on a Critical Hit. Location: During main quest: Reunions. A shotgun that offers 25% more damage and limb damage, but with a penalty to stability. Location: In libertalia in the Captains cabin. A Gamma gun that uses Telekinesis to push enemies away. Location: A reward for completing Cabat House. See walkthrough. A laser gun that deals double damage when the enemy is at full health. Location: Sold by Arturo in Diamond City. A missile launcher that does 50% more damage against humans. Location: Sold by KL-E-O in Goodneighbor. A knife that offers bonus damage during sneak and also exceptional bleeding damage. Location: A reward for siding with Pickman. A laser gun with infinite ammo clip. Location: Inside the locked safe in University Credit Union. A rare, custom made weapon that shoots railway spikes at such a high velocity that they can sever body parts and pin them to walls. Location: A reward after completing the Railroad quest: Underground Undercover. A hunting rifle that deals more damage against Mirelurks and Bugs. Location: Reward following the Miscellaneous quest: Barney Rock. A Ripper that reduces damage by 15% when standing still or not moving. Location: Sold by level 4 workshop merchant. A laser gun that deals double damage for Critical shots and fills the critical meter 15% faster. Location: Reward for completing Brotherhood of Steel quest: Call to Arms. A baseball bat that consumes 40% less action points. Location: Sold by Moe in Diamond City. A plasma gun that deals double damage when the enemy is at full health. Location: Sold by Practor Teagan when you reach the rank of Sentinel. A revolutionary sword that deals radiation damage. Location: Found in Side Quest Detective Case Files: The Guilded Grasshopper. See walkthrough. Location: In the blast furnace and carried by Slag. A submachine gun that's bullets explode on impact dealing damage to the nearby area. Location: Sold by Cricket the caravan trader. A laser gun whose damage is inversely proportional to your health i.e more damage when health is lower. Location: During Brotherhood of Steel quest: The Last Patrol, convince Paladin Brandis to rejoin the Brotherhood, or kill him and steal it from him. A .44 pistol that sets the target on fire for 15 point damage. Location: Solve the Vitale Pumphouse number puzzle and claim this weapon from the steamer trunk. A Gauss rifle that deals 50% more limb damage..
A hunting rifle which increases VATS accuracy if you're not in combat (at the expense of Action Points). Location: Sold by Tinker Tom at the Railroad HQ. An Institute laser rifle that deals 50% more damage against Super Mutants. Location: Kill Virgil or steal it from him. A 10mm that deals 50% more limb damage. Location: Sold by Deb in Bunker Hill. A laser gun with unlimited ammo capacity. Location: Complete Shaun's quests (x 3) following completion of all main quests and faction quests. See walkthrough.